What is the Canadian sales tax system? Canada’s Goods and Services Tax (GST), or, as a tip of the beret to our French-speaking northern neighbors, Taxe sur les produits et services (TPS), is a multi-level value added tax (VAT) that was introduced on Jan. 1, 1991. The GST replaced a 1920s-era Manufacturers’ Sales Tax (MST) which had been blamed for hindering exports. Canada’s sales tax differs from that in the United States in a fundamental way: it is essentially a coordinated two-level sales tax structure. The federal government, in the form of the Canada Revenue Agency, collects 5% of all retail sales that are not tax exempt (not zero-rated sales) in every province and territory countrywide. Each sub-national unit then has the option to collect its own VAT, Retail Sales Tax (RST), or no tax at all. In addition to the federal GST, Canada’s territories and provinces can fall under the jurisdiction of either the Harmonized Sales Tax (HST) or a form of a Provincial Sales Tax (PST). For the sake of simplicity, Zip2Tax has grouped the differing kinds of PST into a single column on our sales tax table. The Quebec Sale Tax (QST, or TVQ [Taxe de vente du Québec]) and RST amounts will appear in the PST column. One ungainly “hitch” with the provinces of Quebec and Prince Edward Island is that they have elected to apply the VAT tax after the GST has been added to an item’s retail price. In the sales tax table for these regions you will note that the column for “Sales Tax Rate” will reflect the “effective” total sales tax rate and not the sum of the individual tax districts to compensate for this seeming “tax on a tax”. While not exactly elegant, the Canadian sales tax system has far fewer convolutions than nearly any of those in the United States which have been known to layer on special tax districts with no discernible pattern and vary randomly from state to state in rates, jurisdictions, exemptions and remittance. You can look at America’s tax system as being additive, while the Canadian sales tax system takes the opposite approach. In the United States, each state can hike taxes in individual jurisdictions whenever lawmakers in a municipality wish to raise funds for a certain project. In Canada’s subtractive solution, everyone in a given province or territory is taxed at the same rate and then granted VAT relief in the form of rebates based on income and tax exemptions returned to the consumer as a tax refund. Along with exemptions for various grocery items, special treatments are provided for other activities including small businesses, nonprofit organizations, charities, the so-called MASH (municipality-academic-school-hospital) sector, tourist expenditures by non-residents, real estate, and financial institutions. Even though it is controversial to this day, the Canadian sales tax system has proven to be not only successful, but has some innovations that could be used as a model by the United States should calls for a federal sales tax gain traction. For detailed information, check out the paper “SALES TAXES IN CANADA: THE GST-HST-QST-RST “SYSTEM,” by Richard M. Bird and Pierre-Pascal Gendro, available on the American Tax Policy Institute’s web site. As a business owner, one of your responsibilities is to collect sales taxes from your customers on behalf of the state your business has nexus in. Before you can start collecting sales taxes from your customers though, you need to register for this legal authority with the state and possibly your county first. Otherwise, collecting sales tax could count as a criminal offense. Fortunately, registering your business for sales taxes is a fairly straightforward process. Your business needs to follow the sales tax laws of all states where it has nexus. This is a bit tricky to define. Historically, a business had nexus in a state if it had a physical building in the state, like a storefront, warehouse or sales office. Now, many states are expanding this definition to include businesses that just make sales or provide services in a state. If your business has nexus in a state, it’s likely you’ll need to collect sales taxes for that state. Beyond nexus, you also need to consider whether your business will need to collect sales taxes under a state’s laws. Some states like New Hampshire and Montana don’t charge sales taxes so this isn’t an issue. States that do charge sales taxes also exempt many transactions. You may avoid this obligation if all your sales are tax-exempt. To figure out your exact obligation for collecting sales taxes, you should contact the department that handles taxes in your state. Each state has a slightly different name for this department, for example in New York it’s the Department of Taxation and Finance while in Florida it’s the Department of Revenue. Once you’re in contact with the right department, find out if that state has an origin or destination-based system. Then, you can find out if your products and services are taxable or non-taxable. If it is unclear, many times you can ask for one of the state’s authorizes to provide a letter of determination. Finally, you might be able to ask the state how much you need to collect for state, county, city and possibly special jurisdiction sales taxes. If the state doesn’t provide this information in a convenient way, you can always come to Zip2Tax for updated rates and tax jurisdictions. Individual state departments should give you a pretty clear picture of what you need to do and provide you the information you need to register for a tax certificate, the next step in the process. To complete the registration process, you need to apply for a certificate to get legal authority to collect sales taxes. Once again, each state uses slightly different names. It could be referred to as a certificate of authority, a tax permit, or a tax registration. The idea is the same though in all cases: it’s a document that registers your business to legally collect and remit sales taxes on behalf of the state. The registration process also depends on your state. In Nevada, you’ll need to make a deposit and pay permit fees to keep your business registered. North Carolina, on the other hand, doesn’t charge any fees and you could register your business instantly online. You may also need to file a separate registration for your county and city. If you’re unsure about any part of this process, be sure to consult a tax professional. This way you won’t risk being in the situation of illegally collecting taxes without a permit. While registering for sales taxes is a bit of work, it’s worth the effort to keep your business compliant. As a business owner, it is your responsibility to collect sales taxes from your customers and submit the money to the appropriate state(s) along with a sales tax return. To avoid audit problems and penalties, you need to make sure you file your return according to each state’s rules and filing schedule. While each state has a slightly different process, here are some general guidelines that can give you an idea of what to expect. Every state has different rules for when and how often you need to file your sales tax returns. It is common to see an annual, quarterly, or monthly filing frequency. Generally, the more money your business collects in revenues, the more often you have to file a sales tax return. For example, in New York there are three filing periods: annually, quarterly, and monthly. Businesses that owe less than $3,000 a year in sales taxes can file annually during the period of March 1st through February 28th, February 29th on leap years. Businesses that make less than $300,000 of sales that are subject to sales taxes need to file quarterly whereas a business that has more than $500,000 in annual sales taxable revenues needs to file monthly. Even if you don’t owe any sales taxes for a given period, you still need to file your return. Most states allow business owners to submit their sales tax returns electronically. This is actually a requirement in many states to save time and money. There are a few exceptions when a business needs to file a paper return. For example, in California you can’t e-file if you are submitting an amended return, if your business is registered to a permanent location but you are making sales from another temporary location, or if you are reporting on a schedule other than Schedule A, B,C, E, or G. The vast majority of business owners will e-file though. If you don’t file your sales tax return on time, you may owe extra money as a penalty. Some states don’t charge a penalty if you are late with your return, but you don’t owe any money in sales taxes. However, if you do owe taxes, the state will penalize your late return. For example, if you are late with your sales tax return in North Carolina, the state will charge an extra 5% per month up to a maximum 25% as a failure to file penalty as well as another 10% as a failure to pay penalty. In addition, the state will charge interest on your unpaid balance. Since each state has its own unique process, it is always a good idea to review your state’s sales tax filing process with a tax professional to make sure your business is in compliance. This way, you can avoid costly filing mistakes. Preliminary data show internet sales keeping pace with local brick-and-mortar sales so far this year. With this much revenue on the line, states are scrambling to inform the cyber-consumer about Use taxes due on internet purchases. To date, Use tax compliance has been, to put it mildly, not good. Whether or not states have special internet sales legislation on the books, most states require the payment of use tax on any untaxed purchase, including those made over the internet or from out-of-state vendors. What is consumer Use tax? Use tax is due on any taxable tangible product purchased by non-tax-exempt entities when no sales tax was collected at the time of purchase, regardless of where the item was purchased. This includes items purchased over the internet or from out-of-state sources including Amazon, eBay and others. States have identified unpaid use tax as a significant loss of revenue during a time when budgets are stretched to the breaking limit. An estimate by the Streamlined Sales And Use Tax group claim $20 billion a year is being lost. Identifying the problem and figuring out what to do about it are two different things. Most states have been at a loss as to a practical remedy. 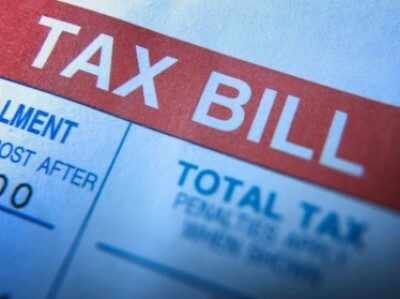 Some have included a self-reporting section on the state income tax return. Other states rely on press releases, news coverage and guilt. None of these methods have so far show much effect on compliance with some sources saying as little as 20% of these taxes are collected. Federal legislation is being closely examined by both the senate and house to try to come up with a “fair” solution to this uncollected tax problem. The Main Street Fairness Act, which has failed in previous years, was introduced this year by Sen. Richard Durbin (D-IL) and is currently being reviewed by the Senate Committee on Finance. The bill proposes to promote the simplification, administration and collection of sales and use taxes. Unfortunately, like most of the issues involved with taxes, this one seems to have little chance of resolution before the year’s end. You can track the bill’s progress at http://www.govtrack.us/congress/bills/112/s1452. If legislation passes congress again this year, a select group of federal income tax filers may benefit from calculating deductions using the state and local sales taxes they paid instead of state income taxes. According to the Tax Policy Center, residents of New York and California benefited the most from using the state and local sales tax deduction in 2005 on their federal income tax. For residents in states with no, or limited, income taxes: Alaska, Florida, New Hampshire, Nevada, South Dakota, Tennessee, Texas, Washington and Wyoming. Individuals who live in states with higher-than-average state and local sales taxes. Individuals who made unusually expensive purchases such as paying for a wedding, home improvements or vehicle purchases. The IRS provides special sales tax tables that average consumption by taxpayers, taking into account filing status, number of dependents, adjusted gross income and state and local general sales rates by ZIP code. Filers using the standard sales tax deduction can also add in sales taxes paid on the purchase or lease of a vehicle, boats or aircraft, and home renovations. Filers could optionally use the actual expense method by collecting receipts for all purchases made and keeping a running tally of all sales tax expenses. This method may be beneficial if sales taxes paid were well above the standard deduction or if the filer lived in multiple tax jurisdictions. Filers whose sales tax deductions come out about the same as their income tax deduction may benefit from taking former since they won’t have to claim their state income tax refund the following year. The problem with the sales tax deductions is that it never has been made permanent since it was authorized in 2004. Every two years, the issue comes up in front of legislators once again. It expired at the end of 2011, and if it isn’t renewed this year, it won’t be available to taxpayers filling out their forms in 2013.